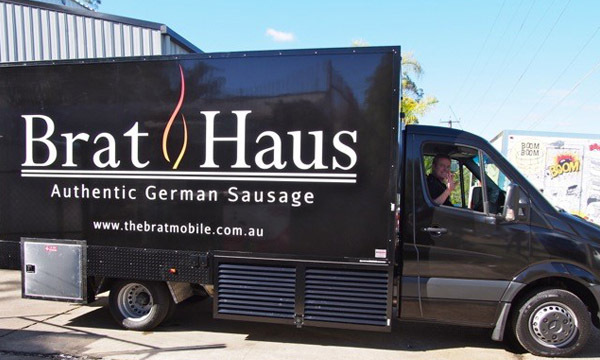 Introducing the Brat Mobile, Brat Haus’ latest addition to their booming Brisbane based enterprise. 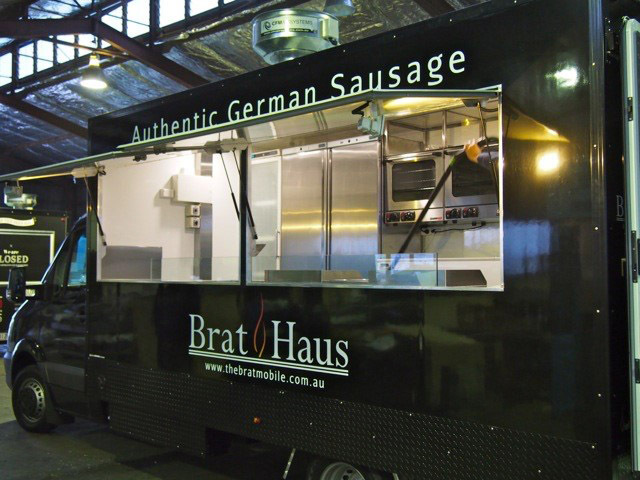 Brat Haus is a name synonymous in Brisbane with German sausages. After starting in markets more than 8 years ago with foot long bratwurst handmade by Steve, a butcher, and his son Ben, Brat Haus over the years has expanded its market stalls and more recently, opened two hugely popular restaurants in inner Brisbane. 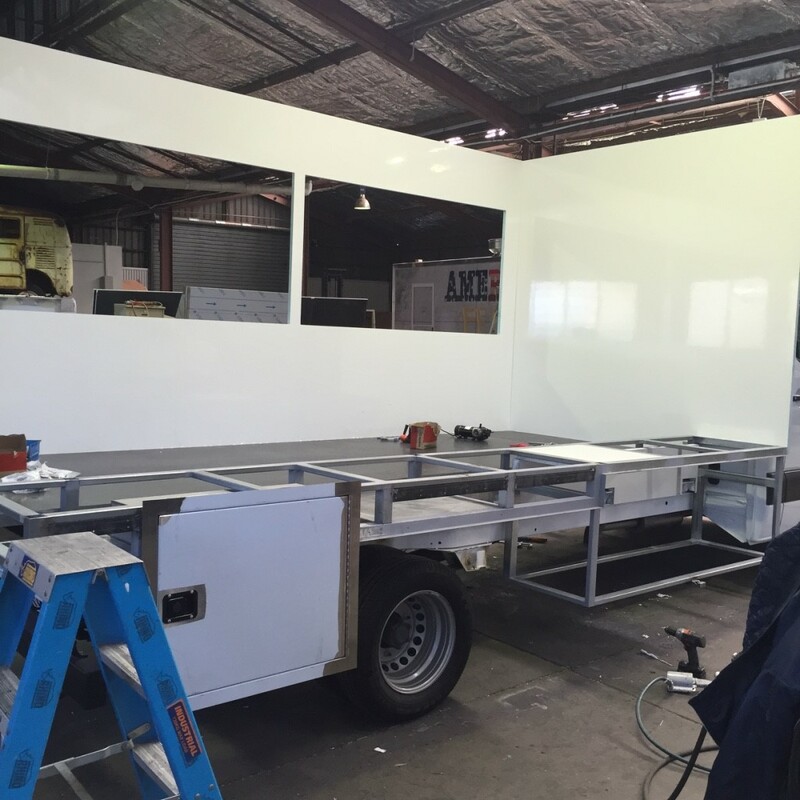 And now for the next exciting step to further grow their brand, a food truck! As it goes, one of the Van Demons team was at a night market, sitting back with her friends enjoying a glass of wine and watching this man for what seemed like hours, pack up his stall. She approached him and said “You know there’s a better way…”. 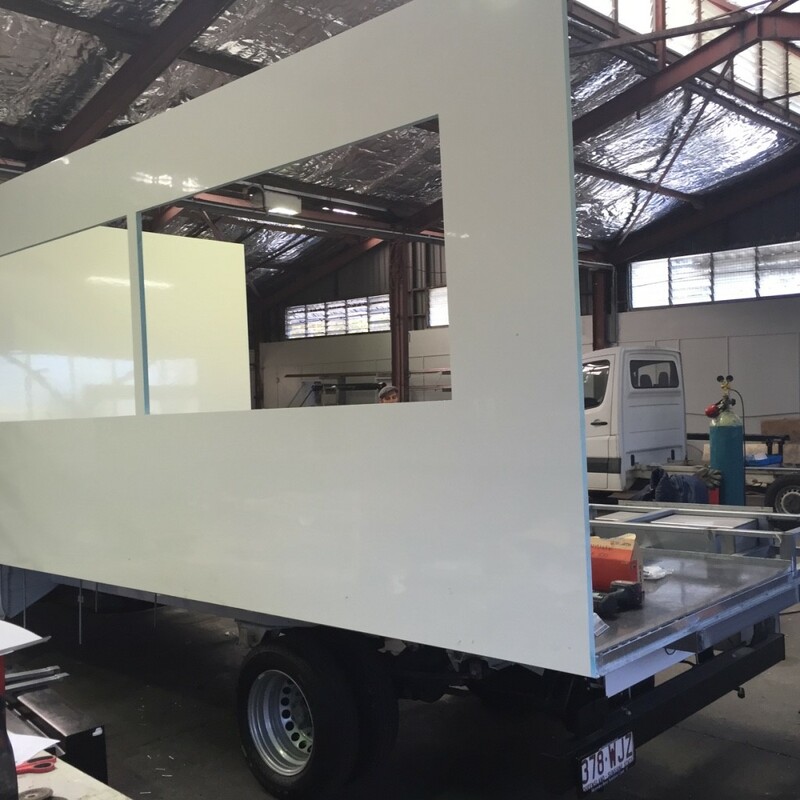 It wasn’t long before Steve & his partner Scott were on the phone to Van Demons lining us up to build them a food truck. Built onto a white Mercedes sprinter cab chassis, the now black Brat Mobile is one slick looking machine. 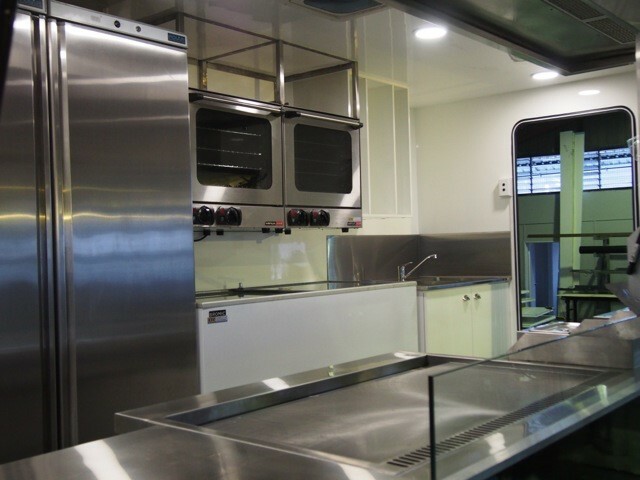 Built with a full fibreglass body and two 2m serving windows to accommodate the hungry hordes of people, and powered by two 3000W generators, the kitchen inside is as good as you will see in any commercial restaurant kitchen. A food truck for Brathaus will mean that they can cater to bigger events with ease. And having a truck that is fully branded means that they get to grow their brand further – a signwritten food truck is effectively a moving billboard! The Brat Mobile’s first big event is Splendour in the Grass this coming weekend in Byron Bay. They are expecting to sell 6,000 sausages. That’s a lot of bangers!